Summer is typically a busy time for all, especially families. Sometimes just a short day trip with the family is all the time you have to re-connect with each other. 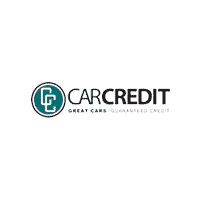 At Car Credit Tampa, we understand how important family is and building great memories with each other is a priority. We’ve done a little research to find some fun day trips around Tampa that may not have thought of visiting. There is much to do in the area that it was difficult to choose. Our list could go on for days and this by no means is a special endorsement for these activities. We were trying to find activities that are family friendly and can be enjoyed by all. Living in Tampa you are well aware of the options for fun family activities in St. Petersburg. You are just 24 miles away from the Tampa area. Since it is summer we’ve looked mostly at places that you can do outside. There are several area parks that show up on our radar that you may want to check out. Sawgrass Lake Park has plenty of walking trails in which you will observe many types of wildlife. Boyd Hill Nature Preserve has areas that range from woodlands to marshes. Boyd Hill is a great place to bird watch. There is also a pioneer settlement. In case of a rainy day, the Dali Museum is a must see in St. Petersburg. There is something for all ages at the museum. Anna Maria Island, a barrier island on Florida’s Gulf Coast, is just a short 55 miles from Tampa. Coquina Beach offers much for the day tripper. It has plenty of shade and walking paths. You can bring your own food and use the public BBQ grills and picnic tables. There are also changing rooms for the beach, as well as, bathrooms. If you choose to buy your food on the beach there is a snack bar. Anna Maria Historic Green Village has plenty of lunch and dinner options including fun places for ice cream and other treats. There is another bonus- free parking. Homosassa is about 75 miles from Tampa. Alpaca Magic USA is a plant and alpaca nursery. Children can look at alpacas and watch how the yarn is spun out of the wool from alpaca. Ellie Schiller Homosassa Springs Wildlife State Park is a rehabilitation place for injured and orphaned West Indian manatees. Crystal River National Wildlife Refuge is the only refuge created to protect the Florida manatee. Do not forget to make sure your car is ready to set out on a trip. If you are unsure- or you think you may be due for service check our Car Credit Tampa’s service department. With hour Monday-Friday 8:00 am-5:00 pm we try to be flexible for those who need our service. You can call toll free (877) 696-8226 or schedule your service appointment online.